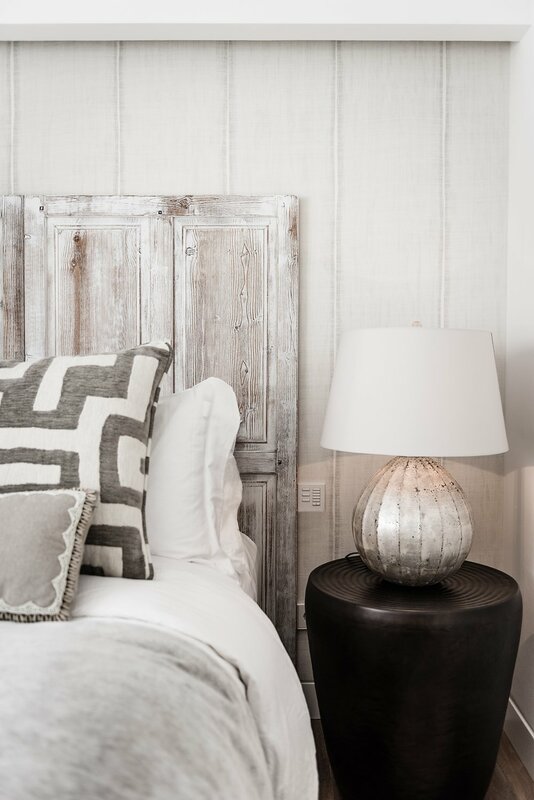 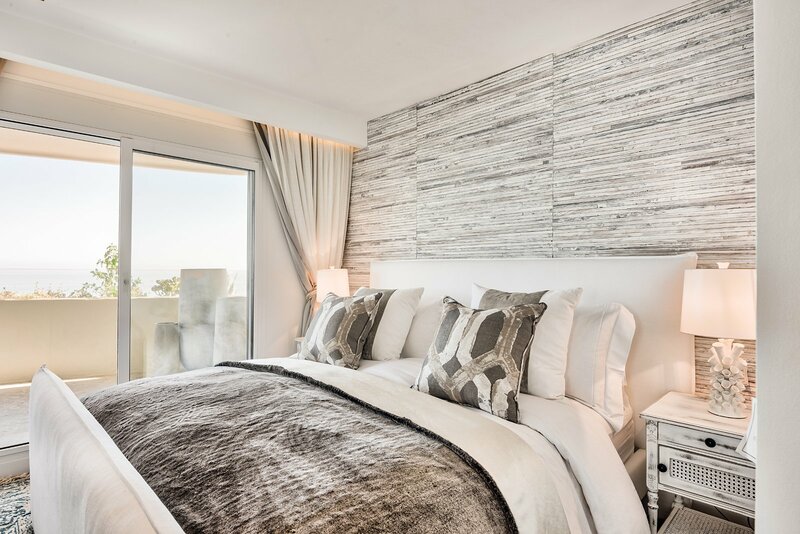 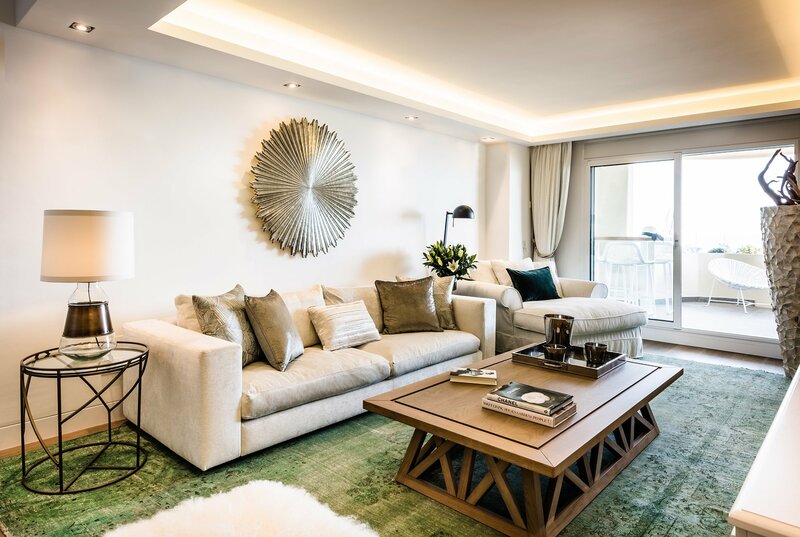 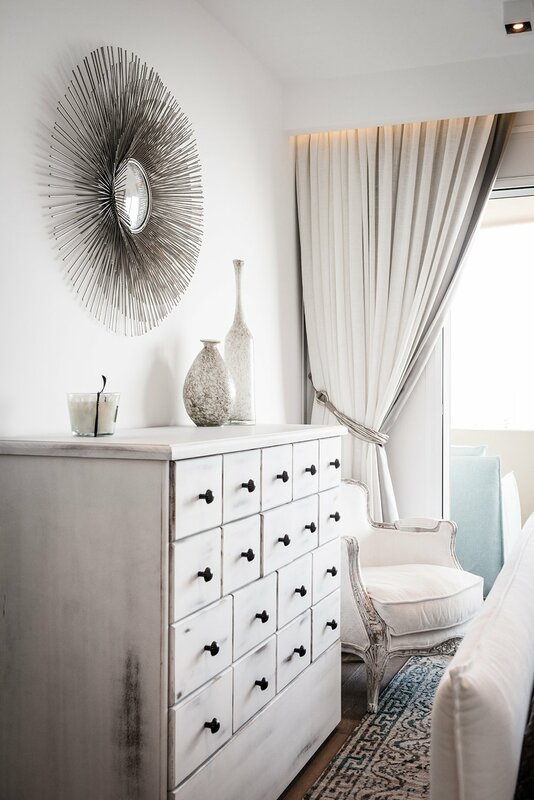 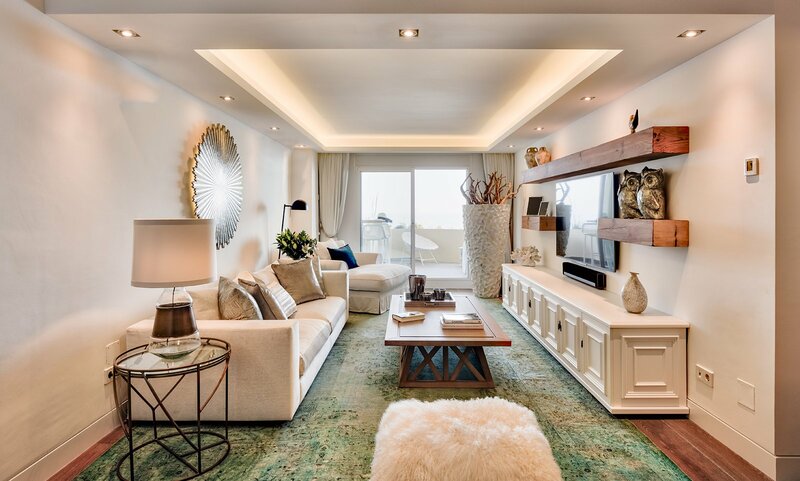 Ambience was commissioned to design, refurbish and furnish a 3-bedroom, frontline beach apartment in Marbella. 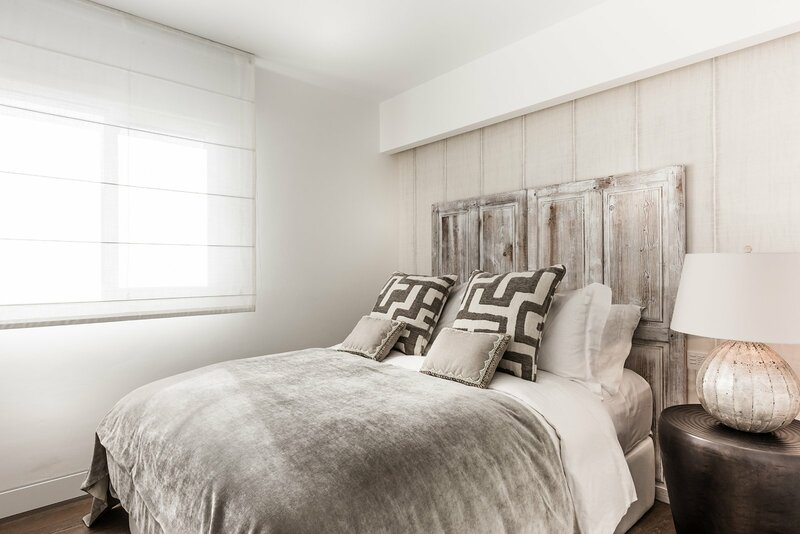 The apartment was very rundown, dated and dark. 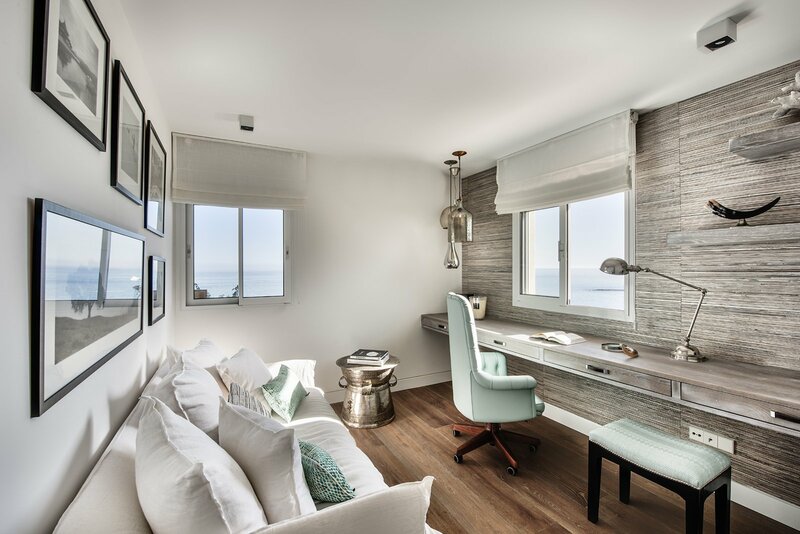 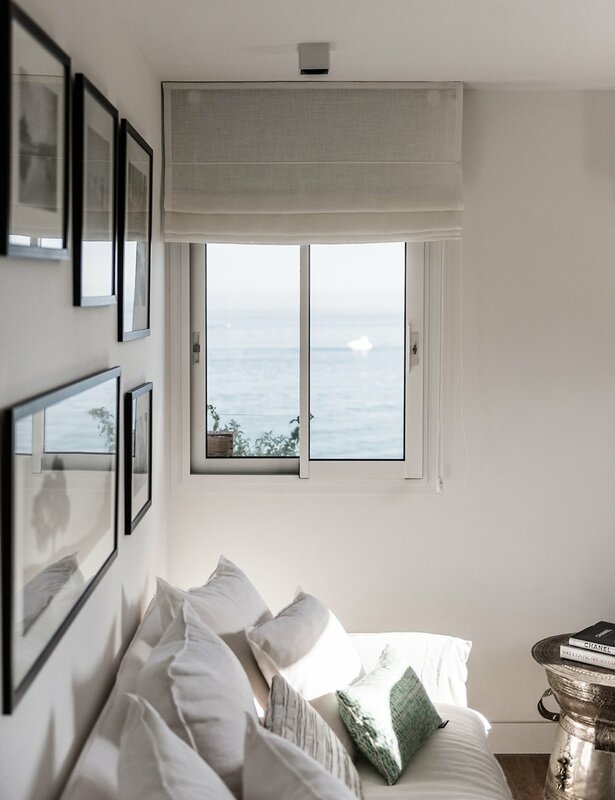 Our vision was to create a welcoming interior by making it spacious, light, fresh and in harmony with the great seaviews the property had to offer. 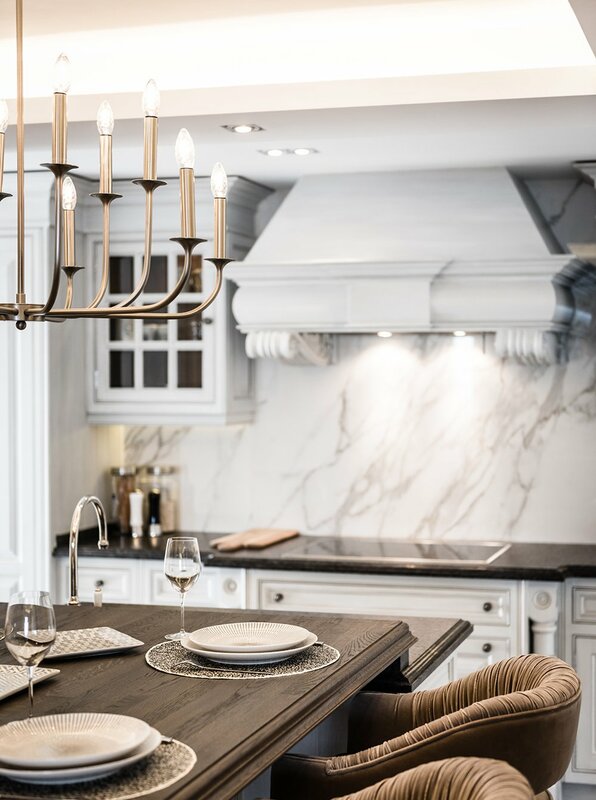 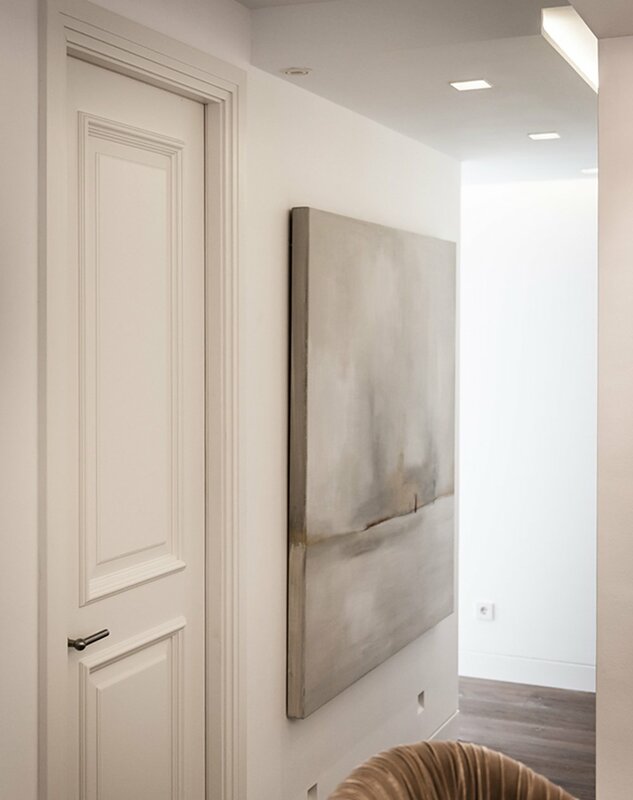 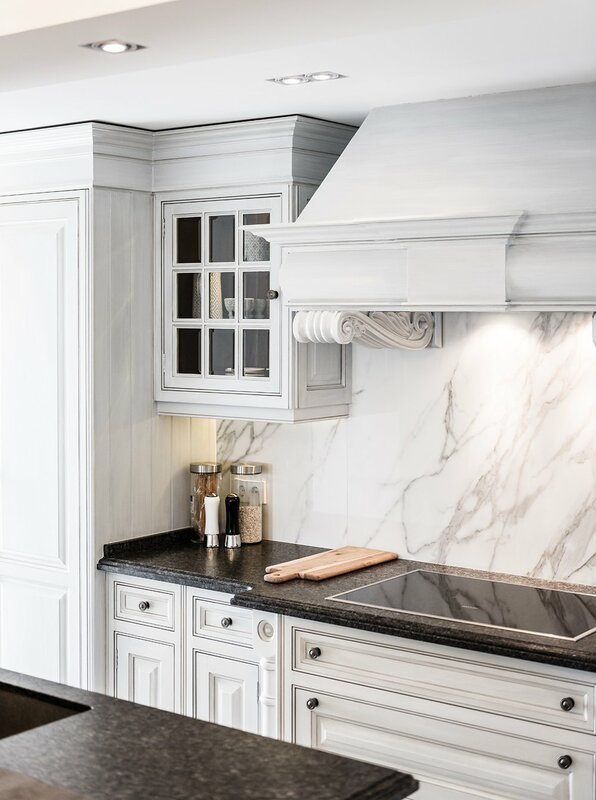 To give the space a contemporary look, we built false ceilings with indirect lighting, and added lower recessed wall lights for a romantic effect, this immediately changed the aesthetics of the outdated space. 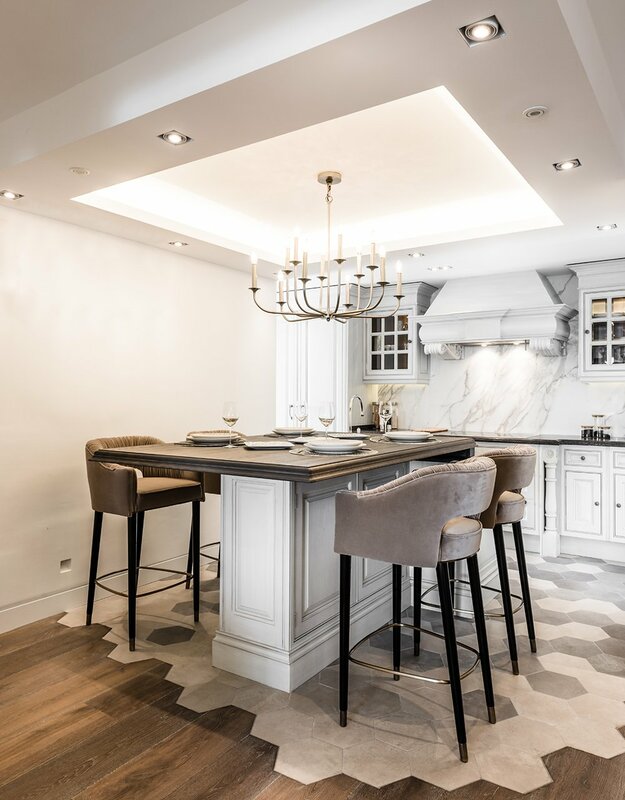 In the kitchen, the beautiful honey-comb-shape floor tiles cut impeccably into the barn wood floor coming from the lounge, became the landing space for the stunning kitchen which we had installed by Clive Christian. 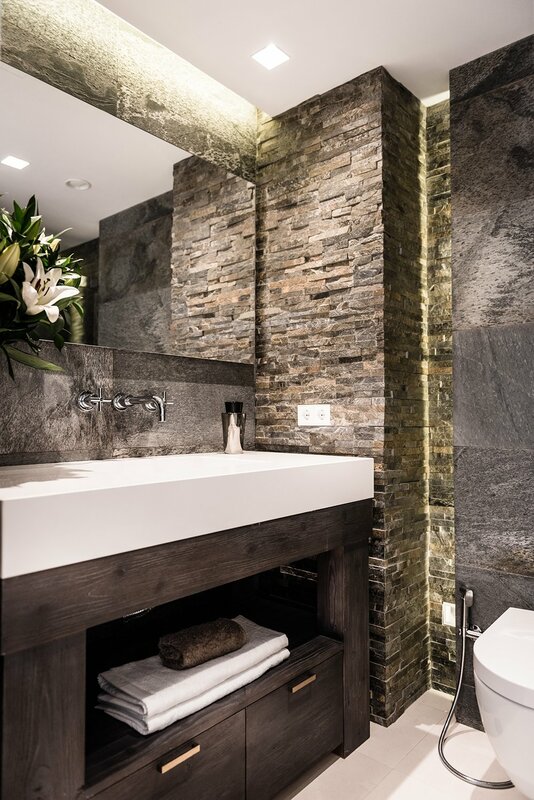 One of our client’s wishes was to incorporate a sauna in one of the bathrooms, which was a nice challenge due to the small space we had to work with. 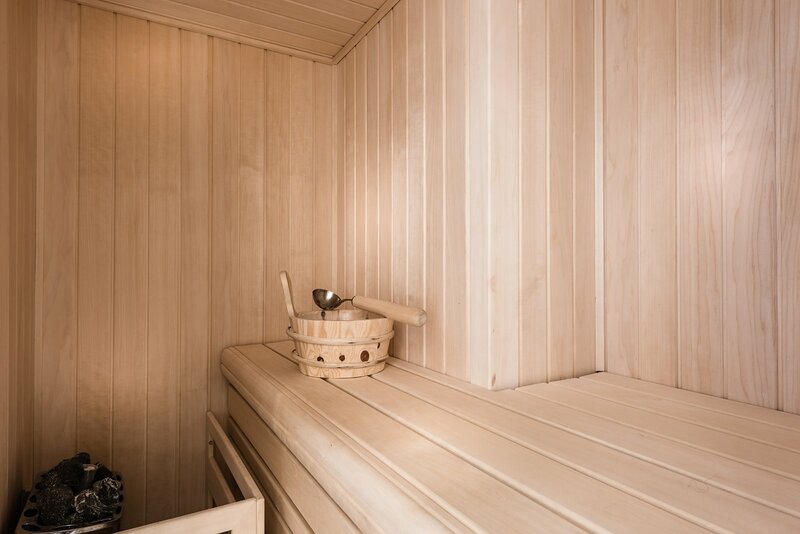 By rearranging the existing layout and taking out the bath, we were able to meet our client’s wishes and install a fully functioning sauna. 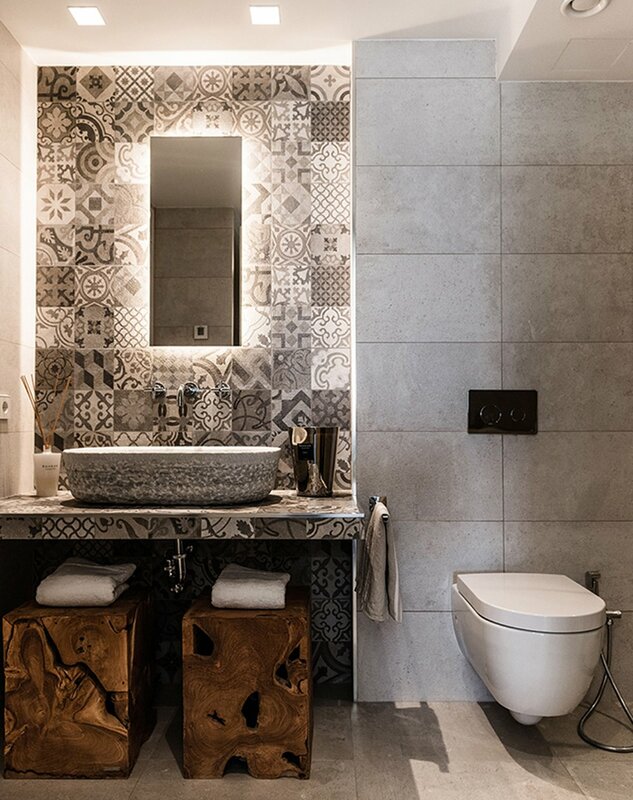 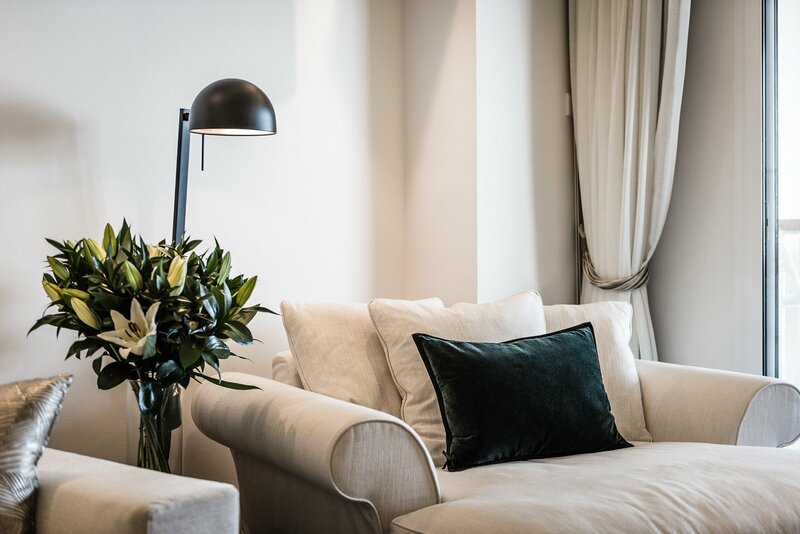 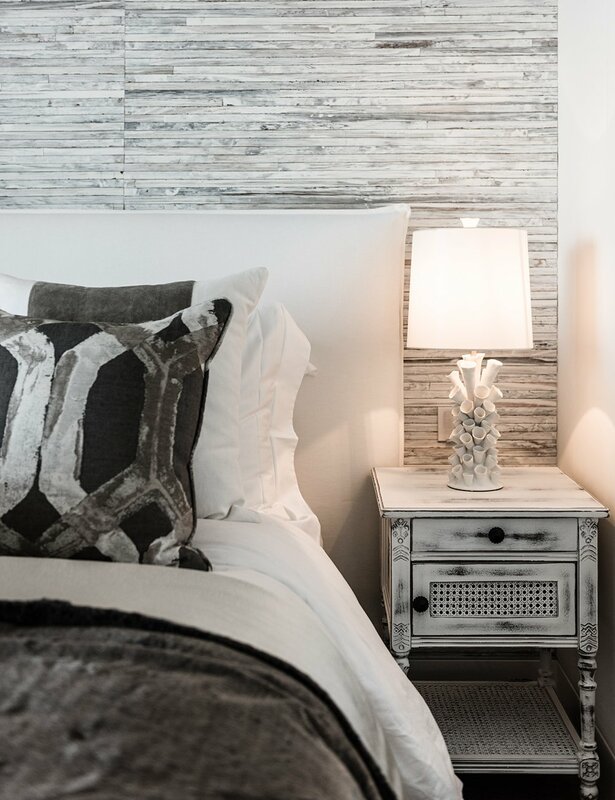 Bespoke carpentry was fitted throughout the apartment, natural wallpapers and fresh feel fabrics were the materials chosen to give the ambient a fresh feel.